Author Seth Godin blogs, “An anonymous copyeditor working on my new book unilaterally changed each usage of ‘persuade’ to ‘convince. '” The word “persuade” has specific meaning to Godin. In his view, the act of convincing someone is based on presenting facts. Persuasion is is what results from convincing someone. The words are not equal or interchangeable to Seth, so he reverted the copy editor’s changes back to the original use of the word persuade. He isn’t the first author to disagree with his editor. In fact, the relationship between editor and author can become quite tense. 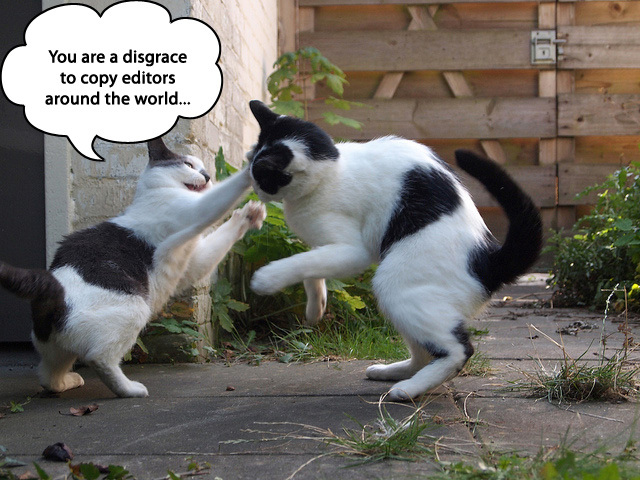 How can you ensure the relationship with your copy editor is productive and friendly? There are software-based copy editing tools that can help eliminate common grammar errors. If you are prone to choosing incorrect verb tense or confusing their with there or its with it’s, copy editing software is perfect for you. However, you must understand the limitations of software. If you flip from present tense to past tense, software cannot reliably detect this. Furthermore, software cannot recommend more powerful ways to rephrase a given sentence, paragraph or idea to take your writing to the next level. You need a human copy editor. Humans bring contextual editing capabilities that no software or artificial intelligence algorithm currently offers. The conflict between Seth and his copy editor arose from each person applying different backgrounds and experiences to the reading and writing of the document. This is the beauty (or flaw, depending on your viewpoint) of human copy editors. Copy editing software would have left Seth’s original word choice unchanged. However, Seth would have missed the benefits of having a human editor energize the original writing. The author must clarify from the start what they expect from the copy editor. If you are confident in your writing skills, the following requests to an editor are reasonable. Instruct the copy editor to only proofread for grammar, spelling and punctuation. Ask the copy editor to make notes of any other changes that they recommend. If you work in MS Word, the Comment feature can be used for this. If you are less confident about your ability to write clearly, your expectations should be different. You must afford the copy editor more freedom to alter your work. At the same time, it remains reasonable to expect your original meaning and voice to come through after the editing. Good copy editors ensure the author’s original voice is not changed. Godin’s experience highlights an important aspect of developing a positive relationship with your copy editor. Copy editors need to recognize that a writer’s work deserves to be treated with respect. Certain ways of stringing words together are perfectly acceptable, even if they aren’t preferable to the copy editor. When this is the case, a good copy editor will leave things as they are. Remember, copy editing is more art than science. In the end, the author’s intentions are “correct” and the ones that should show on the final draft. An experienced writer interprets their copy editor’s changes as suggestions. Without reading the book in question, it is impossible to determine if Godin was justified in changing every use of convince back to persuade, but writing is almost always strengthened when the author opens themselves to constructive observations. What seems to be written in perfectly clear English when the author reads it can be a complete mystery to readers. When a copy editor alters text for clarity, the meaning may change unintentionally. In this case, it’s no one’s fault. Changes should be viewed in a positive light because all authors want the best content to win. If there are no passionate disagreements, how can due diligence be given to details of the writing? Disagreements between authors and editors are not going to disappear. Yet, these differing opinions will lead to a stronger and more persuasive message – if both sides are clear about their roles and expectations.